BAGUIO CITY – Mayor Mauricio G. Domogan recently announced that no less than Philippine Sports Commission (PSC) chairperson William Butch Ramirez will be turning over to the local government the P3 million cash reward that it was able to garner after retaining the overall title of the 218 Batang Pinoy national championships that was hosted by the city last September 17-21, 218. The local chief executive clamed that the PSC chairperson wants to personally deliver the cash reward of the city to concerned local officials for him to be able to also personally make a visit to the city after he failed to grace the closing ceremonies of the week-long competition due to his engagements with lawmakers for the PSC’s budget next year. “We are grateful to the PSC for having chosen Baguio city as the venue of this year’s bang Pinoy national games. We are also grateful to PSC chairperson Ramirez and the Commissioners for approving the donation of thirteen million pesos worth of sports equipment to Baguio and Benguet as well as leaving behind the over two thousand sleeping bags for our athletes and calamity victims, especially those who were from Itogon, Benguet,” Domogan stressed. Local athletes snared 85 golds, 81 silvers and 104 bronzes in the week-long sports competition held in various sports venues in Baguio and Benguet that allowed them to lead the way during the duration of the prestigious national sports event for the youth aged 15 and below. Last year, Baguio City garnered the overall championship during the 2017 Batang Pinoy games which was held in Tagum City, Davao del Norte even if some of the local athletes were not able to play in their designated schedules due to delays in their arrivals to the host local locality. Cebu landed in second place with a medal haul of 37-40-44 gold-silver-bronze followed by Laguna with 33-13-31 medal haul which is good for third place finish. Quezon City came in at close fourth place with 32-17-17 gold-silver-bronze medals while Pangasinan placed fifth with 22-21-21 gold-silver-bronze medals. Based on the data from the PSC, some 155 local governments from Luzon, Visayas and Mindanao joined the week-long sports competition wherein 28 sports were played around the city and nearby La Trinidad town. The Baguio delegation will be bringing home the P3 million cash prize for the overall champion while Cebu will be receiving the P2.5 million earmarked for the second place finisher in the said youth games. Laguna will be entitled to the P2 million third place cash reward, Quezon City will be receiving P1.5 million fourth place cash prize while Pangasinan will be entitled to P1 million cash prize. Earlier, PSC Commissioners turned over to mayor Domogan two checks mounting to a total of P8 million representing Baguio City’s cash ward after placing second to Cebu during the staging of the 218 Philippine National games (PNG) that was hosted by Cebu. One of the check which amounted to P4 million came from the PSC while another check containing the same mount came from the Office of the President. 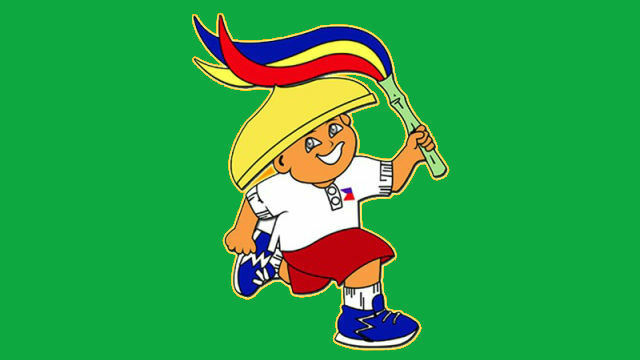 It can be recalled that President Rodrigo Duterte promised participants to the PNG championships that he will double the cash prizes earmarked for the local governments that will lnd in first to fifth places as their reward for their exemplary performances in the various sports disciplines played for the said high level competition.